The continued existence of wildlife and wilderness is important to the quality of life of the humans. The Indian sub-continent is enriched with diverse wildlife. Discovering the beauty of wildlife in incredible India has quite a unique appeal. With temperate dry flatlands, rugged cold mountains, rainy river plains, damp soggy marshes, lilting alpine meadows and dry hot deserts, India gives you unforgettable wildlife experience. Every nook and corner of India has an abundance of wildlife right from the southern tip Kanyakumari to the mountain ranges in the north. India has more than 99 national parks, 450 wildlife sanctuaries, and 40 tiger reserves. ClearTrip makes this adventurous trip dream of yours come true with amazing offers. You can enjoy all these places with Cleartrip offers. Take a look at the 10 best wildlife destinations of Incredible India. Located in Rajasthan, Ranthambore National Park is one of the majestic national parks in India. Earlier it used to be the hunting ground for the maharajas. It is now famous for its royal tigers and bird watching. It is surrounded by Chambal and Banas River and so it serves as an ideal habitat for the rest of the animal species. The park is stretched over 1334 square kilometers and the tiger safari will leave you enthralled. You can also spot Sambhar, Wild Boar, Leopard, Sloth Bears, Nilgai, and Hyena. This place is the best place for wildlife photographers and they can get best shots of the wildlife. The national park is open from October to June and the best time to visit is March-May. Situated in Uttarakhand at the Nainital district, it is one of the oldest national parks in India. It is named after a famous wildlife story writer, Jim Corbett. People visit this place to get a glimpse of the tigers. If you are lucky, you can also spot white tigers. Apart from tigers, there are also Himalayan Tahr, Goral, golden jackal, serow and much more. Spread over 1318 square kilometres, it is the hotspot for wildlife lovers. The best time to visit the park is from November to June. Located in Madhya Pradesh, this park is in the center of India. It was established in 1968 and is the largest national park in Madhya Pradesh. It is the home to the Royal Bengal Tigers. This park also has a large population of langurs. It is famous for its best wildlife safari in India. You can also spot spotted deer, sloth bear, porcupine avifauna species, and leopards. The park is open from mid-October to June. You can also choose between jeep safari and ride on elephant backs. Located in Assam, Kaziranga national park is one of the largest wildlife sanctuaries in India. It is the home to the endangered one-horned rhinos in India and also in the whole of the world. It is also one of the highly visited parks in India. Apart from one-horned rhinos you can also find elephants, panthers, bears, Asiatic water buffalo, eastern swamp deer, gaur, sambhar, Indian muntjac, wild boar, hog deer and various beautiful birds. This park is also a UNESCO World Heritage Sites. The ideal time to visit this place is from November to April. Situated in the western Gujarati peninsula, it is the home to the Asiatic lions. Spread over 1412 square kilometres, it is the only home to the Asiatic lions. It is the most protected wildlife sanctuary in India. It is the perfect destination if you want to witness the king of the jungle and also enjoy a wildlife safari. The wildlife sanctuary is enriched with 2375 species of fauna. You can spot striped Hyenas, Sloth Bears, Golden Jackals, Leopards, Nilgai, Four Horned Antelopes, Crocodiles and rare Blackbuck. Bird lovers can see various species of Owls, Eagles, Quails and Woodpeckers. The park is open for people from mid-October to mid-June. Located in West Bengal, it is one of the UNESCO World Heritage Sites. This is the world’s largest tidal mangrove forest. You have to access every corner of this park by boat. You can get the feeling of sailing in the Amazonian river because of its green pallid waters and green vegetation. It is the habitat of the royal Bengal tigers. Snakes and crocodiles are also popular in this park. You can also find leopard cats, fishing cats, Indian grey mongoose, macaques, wild boar etc. The best time to visit this sanctuary is between October to April. Situated in Madhya Pradesh, this place is popularly known as the Mowgli Land. This park is the one which inspired Rudyard Kipling to write his book, The Jungle Book. The characters of the book like Baloo (Bear), Bagheera (Black Panther), Kaa (Python), Sher Khan (Bengal Tiger), Hathi (Elephant) or every character of that bestselling book originated from the real-time inhabitants of this Kanha national park. This place is also declared as the finest wildlife sanctuaries in the world. The best time to visit this place is between March to May. Located in Madhya Pradesh, it is one of the beautiful wildlife destinations in the world. It is located in the between scenic beauty of the Western Ghats. This park is the home to Tigers. Along with tigers, you can also spot mouse deer, sambhar, four-horned antelope, Malabar squirrel, panther, and porcupines. This park is also best for bird watching with a variety of birds like peafowl, jungle fowl, crimson-breasted barbet, racket-tailed drongo, magpie robin, Indian roller, crow pheasant, pintail, minivet, wagtail, egret and herons, muniya, blue kingfisher and waterfall. The best time to visit this place is from October to June. Located in Maharashtra, it is the largest national park in Maharashtra. It is surrounded by hills and forests thus making it a wonderful place to experience the wildlife of India. The lake is a main attraction of the park. You can find Tigers, Barking Deer, Hyenas, Gaur, small Indian civet Leopards, jungle can, spotted deer, sloth bears and much more. The best time to visit the park is from March to May. Located in Kerala, it is the only wildlife sanctuary in South India and also in the whole of India which has artificial lake flowing through the forest. It is also a tiger reserve forest in India. 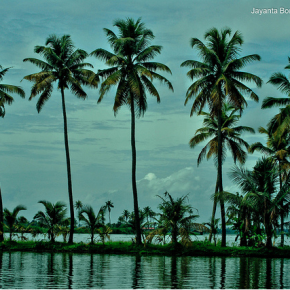 It is situated in the cardamom hills of Kerala. With green landscapes, it is a treat to the eyes. It is the home for elephants, tigers and also to a number of birds. You can also enjoy boat safari and jungle patrolling in this park. The best time to visit this park is from September to December. With temperate dry flatlands, rugged cold mountains, dry hot deserts rainy river plains, lilting alpine meadows and damp soggy marshes, these are the top 10 wildlife sanctuaries in India. Wildlife is like stars and without habitat, there is no wildlife. The breath-taking beauty of wildlife awaits you and so pack your bags. It is time to cross out the checklist.